What is Plain Language writing? | Language Solutions, Inc.
they read or hear it. Plain language is not health literacy. It is a technique for communicating clearly and a tool for improving health literacy. Even though everyone may struggle to understand health information at times, the concept of “health literacy” recognizes that most health information is even more challenging for people with limited literacy skills. Language that is plain to one set of readers may not be plain to others. It goes without saying that you need to know your audience and involve your audience when crafting your communications. Tailoring the communication to meet their learning needs will improve outcomes. You need to know their demographics, behavior, culture, attitude , literacy levels, language, socioeconomic status and access to services. There are many strategies in plain language writing and it takes time, experience and a lot of practice. The first step is awareness that your communications need to be clear. 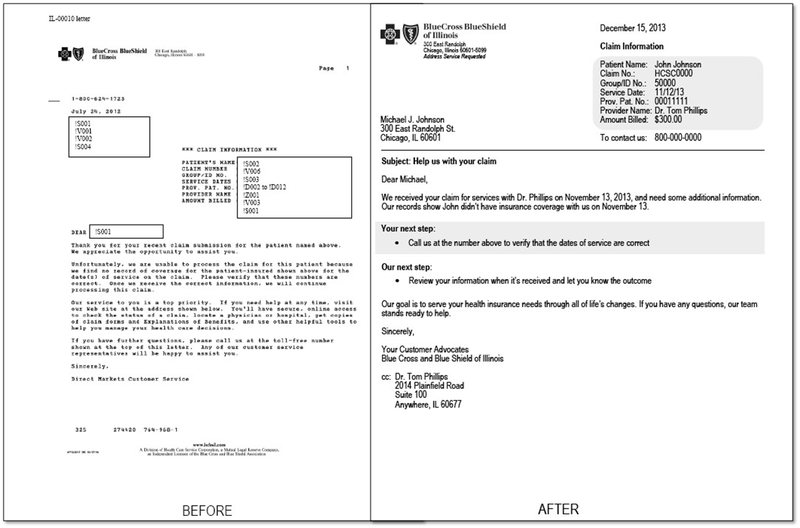 We always say “you need to strip the nice to know from the need to know.” Below is a Before and After letter in healthcare communications written in Plain language . What differences do you notice about the letters? Which one would you rather receive?